When done well, AI-powered conversational channels can personalise government services, improve service delivery and augment the effectiveness of the government workforce. Thirty per cent of government service interactions will be completed, at least in part, through an artificial intelligence-powered conversational channel such as a virtual assistant or chatbot by 2021, according to Gartner. Motivated by ongoing pressure to improve citizen service delivery, governments are prioritising the implementation of conversational channels. 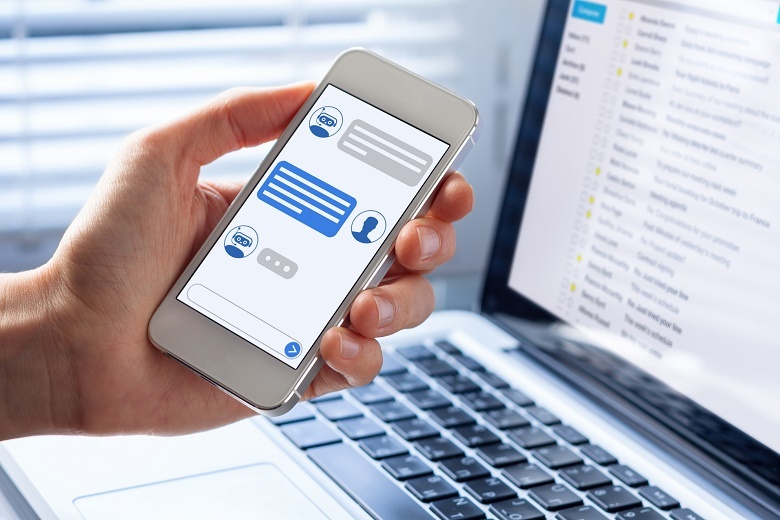 Some 72 per cent of government respondents to the 2019 Gartner CIO Survey indicate that they plan to deploy conversational platforms in the next one to three years, or are already in the process of deploying. Primary uses to date have been chatbots on government websites or portals, but there are uses for other voice and text-based channels. speaker-based virtual assistant devices like Amazon Echo and Google Home. When done well, AI-powered conversational channels can contextualise and personalise government services, improve service delivery, and augment the effectiveness of the government workforce. From the user perspective, a conversational channel allows them to engage in a dialogue to get a response that answers their question or completes a transaction. There are, however, many challenges to consider when implementing conversational channels, such as security and accuracy, which comes down to a combination of data quality and back-end integration. But like all government service channels, it’s not simply a technology challenge. Once a user accesses your conversational channel, their experience will dictate the success of that interaction and the likelihood of them using the channel again. Whether their experience is good or bad depends on the effort and forethought put into designing the experience. Poorly designed conversational channels risk rejection by users and can negatively impact government’s reputation for service delivery. This results in a lack of support for ongoing investment in emerging digital channels and no relief to internal workloads. A well-designed conversational channel has some natural user experience (UX) advantages over websites and government portals. The user doesn’t need to learn how to navigate the often-complex government website or application. The digital design process, however, doesn’t change simply because there’s no navigational component and only a limited visual component to the experience. Design depends greatly on good quality data to drive a quality experience. Each conversational channel is trained to understand many variations of a single question; understand technical language; request clarifications of questions that it doesn’t understand; and respond with alternatives if it can’t resolve the question or complete the transaction. On top of frustrating the user, poorly chosen responses to errors or questions that aren’t understood can evoke a negative emotional response, leaving the organisation with a reputation for being unhelpful, unsupportive or insensitive. Users wants consistency, whether it be from a contact centre, a government website or government portal. Losing sight of citizens’ expectations for predictable and consistent experiences across government services when developing conversational channels puts user engagement and participation at risk. This desire is already largely understood and reflected in the establishment of digital design standards and systems to drive consistency across government. The Australian Government Design System was launched in April to speed up and bring consistency to government websites and services. Citizens don’t want to have to understand the structures of the department. They want consistency in the technical language that a conversational channel understands, as well as the language style used to respond to questions. If it can’t deliver that consistency, the user will be frustrated. This challenge escalates when trying to deliver a whole-of-government conversational experience. Avoid taking a short-sighted, channel-by-channel view on the potential of conversational channels. This approach to the architecture and design of emerging channels will drain resources, waste investments and increase future integration costs. Evaluate existing and emerging channels to determine their role in service delivery. The UX should be co-designed and validated through insights from the organisation’s customer experience program. In addition, evaluate the total cost of ownership for each platform. Adopting an agile application architecture will maximise the reuse of components of the solution and support a more consistent UX across different channels. Each conversational platform has unique strengths and weaknesses, with specific peculiarities in terms of how they approach features such as user authentication, intent identification and their fundamental architecture. Consideration must be given to factors such as what user authentication is required for which type of services; and what information is appropriate to be passed through third-parties platforms due to privacy and security requirements. Act strategically, encouraging long-term thinking even in the early stages of adoption. Take an extensible channel approach to the emerging conversational channels to help optimise resources, maximise reuse and minimise future integration costs. Dean Lacheca is a senior director analyst at Gartner, advising public sector CIOs and technology leaders on the transition to digital government.